Tin Box Traveller – that’s me! Who else is rocking Instagram? Follow Ting and her travel monkeys on their adventures at home and abroad. You’ll find a mix of scenery and family shots which are bright and engaging. If you’re looking for family travel inspiration then there’s plenty here. Ting has recently returned from a luxury break in Greece – bliss! Donna loves a brightly coloured photo and has an eye for seeing something different. You’re sure to find snaps from all over the world as well as plenty of London historic sights, bars and restaurants. This summer Donna went on a Norwegian Fjords cruise – I was so jealous! You can read more about it on Cruising With Kids. This was the view in NW Tuscany in a little village called Fosdinovo, outside Pisa. Up the mountain you have Carrara (source of countless countertop marble), around the coastline you have beaches & cool restaurants and further along is the Cinque Terre. It was an ideal stay. Have you been to this corner of Italy? Jennifer is a US-born, London-based journalist who celebrates family travel with flair, from camel-riding to cocktails. She’s recently been to Tuscany so I’ve been drooling over her Italian trip highlights. Monika’s account shares their crazy adventures sailing, campervanning and days out, as well as showing how living with less helps them travel more. There’s plenty of inspiration for outdoor holidays on Monika’s feed – it’s a lifestyle we love too. I love this image, it reminds me of a time I felt really at peace and was incredibly happy. I’d love to live on a huge lake with my own little jetty to sit on and watch the water. Daisy has three kids and her grid is full of pictures of them enjoying anything from a local day out to a trip of a lifetime, and everything else in between! Throw in a pretty destination shot or two, and you have a whole host of family travel inspiration. Clare loves telling stories with photos of beautiful places. Her grid is filled with colour and family travel inspiration from Greek islands to UK beaches, European city breaks to fun cultural finds. It’s the Greek island shots that always make me pause my scrolling for a while! Beaches worldwide are a favourite but Cathy and her daughter love to chase blue skies around the world. From cities to countryside to coast, her feed is full of bright colours and travel inspiration. Prepare yourself for blue, lots and lots of gorgeous blue! Jenny loves to show her followers the best of Scotland with her two home educated, curly haired, 7 and 5-year-olds. Aside from Scotland they spend time every year choosing several different countries to visit around the world. Jenny and her family aim to push the boundaires of family travel and dispel the myth that adventure needs to wait until the kids are older (her boys are aged 3 and 4). 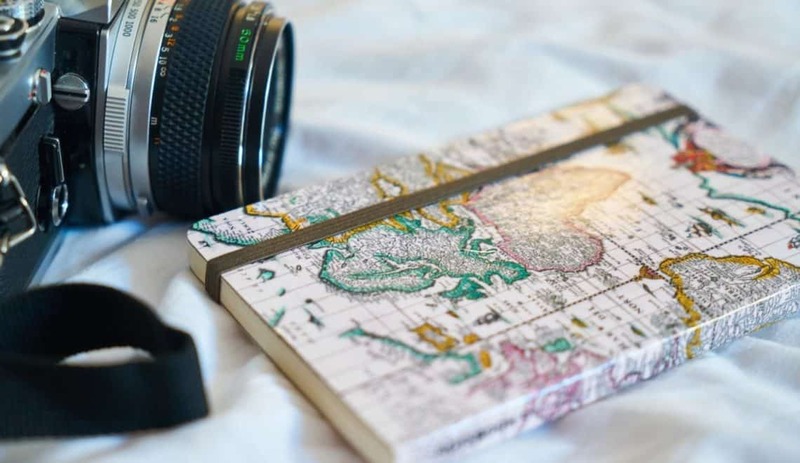 On her grid you’ll find inspiration from their epic African road trip, adventures through Asia (particularly India), with a bit of Peak District (their new home) for good measure. I love Carrie’s pictures from far flung destinations and her tips for traveling with kids. Her summer travels in Australia looked incredible. Nell has an eye for the scenic and beautiful. She prefers landscapes to family snaps, but you might just catch the occasional picture of her 8 and 6-year-old sneaking into her feed. Katy loves to travel and share her family adventures. Her Instagram grid is all about life outdoors, camping, glamping, adventures and family travel. Oh and maybe a beach and a pretty door thrown in for good measure. Laura and her photographer husband document their family adventures across the UK and Europe. With their three teens and an almost-teen, you’ll find plenty of outdoor action, big skies and as many mountains as they can walk up. Karen shares her adventures on the grid which range from days out in the UK and camping, to 5 * luxury villas and African family travel. Lisa’s grid is full of travel inspiration for families with young children from camping and music festivals to self drive boating holidays and luxury family cruises. Maria is an award-winning travel photographer based in Brighton. I love her pictures from home and from her travels In Portugal where she heads each year to visit family. It’s given me a real desire to visit for longer than the one day I had in Lisbon earlier this year. I wrote on Stories last week that I was feeling a distinct lack of motivation and just a general cant-be-arsed attitude this August. I wasn’t sure if it was the post-wedding comedown, the gloomy turn in the weather, our lack of plans for this summer, or a mix of all of the above. For a second there I was wondering if a distinct preference for my bed meant I was slipping into a low level depression. But you know what? I think I might just be hunkering down in preparation for September, which, since kids, I’ve always viewed as my start of a new year. So, perhaps there’s nothing wrong with a bit of downtime in August – space to reflect, slow down, make lists and plans. Ready to get going again once the children are back at school / childminder. Does anyone else feel the same way about the August / September transition? Chloe documents family travel with her three boys aged 7 and under. Her forte is her visually engaging travel videos that capture the essence of why we treasure family holidays so much – the special moments and the memory making. Charly shares her overseas travels and UK adventures with her 7-year-old daughter and husband. Always with a camera in hand, her feed focuses on places and people with discovery, exploration and adventure at the heart. If you’ve got this far then thank you! So what can you expect from me on Instagram? There’s always a good helping of adventures in the UK plus a few jaunts into Europe. I try to inspire and keep things real with little stories from our trips which range from camping to cruises. I’d love it if you’d follow my travels on Instagram. I’m always on the look out for new accounts to follow to get my travel fix. Which other UK travel bloggers would you recommend following on Instagram? Thank you so much for including me in your list Claire! Honoured to be amongst those I already follow for travel inspiration – I never thought I’d be counted as one of them! You pictures are amazing Chloe – it’s a well deserved place!